2019 is the Year of Pig! 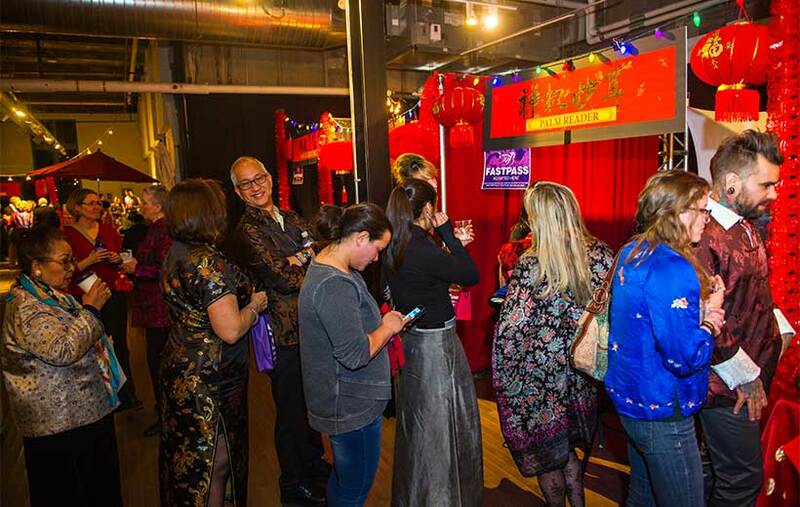 Our upcoming Chinese New Year party goes all out with festive activities, a unique Chinese night market, and a delicious seated family-style Chinese banquet dinner! 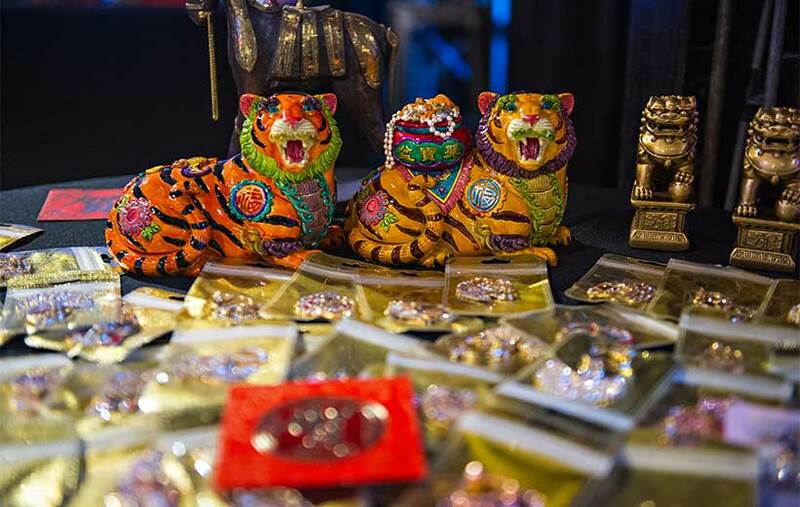 Bring your friends and family and come together to celebrate this awesome holiday with the Yip family and community, as our 2019 Chinese New Year party is the liveliest and most colorful celebration the Rocky Mountain area has ever experienced! *All proceeds benefit the Nathan Yip Foundation, helping us expand our reach to even more rural communities! Each Chinese lunar year is represented by 1 of 12 zodiac animals that reflect traditional Chinese culture, and Feb. 5 will mark the start of the Year of Pig! The pig is the twelfth animal in the 12-year cycle of the Chinese zodiac. According to the zodiac animal myth, the Jade Emperor decided the order of the years by the time when these animals arrived at his party. The pig was the last one because he overslept. Compassionate, warm-hearted, and forgiving. The people born in the Year of Pig usually lead a life full of friends, as they are faithful and will help friends out without hesitation. Diligent and devoted. Once they set a goal, they will focus all their energy to achieve it. Some of their biggest strengths are also their biggest shortcomings. Because of their trusting and kind-hearted nature, they rarely suspect scams and easily believe in others. Come on time at 5:30pm to enjoy a complimentary drink, take a photo on our Balloon Chair, mingle with friends, and bid on our amazing silent auction items! This year, we will kick off the silent auction on February 4th and provide access to online bidding. Even if you cannot come to our party, you’ll still have a chance to bid on featuring items, including gift certificates to restaurants or theaters and sporting events, vacation getaways, and other unique experiences! This year, we are bringing back the sit-down banquet dinner, our tradition of Salad Tossing, and Lucky Red Envelope Sales! As a tradition in south Asia, friends and families will mark the new year by tossing together a large plate of Yu Sheng (traditionally raw fish), a salad of fish, vegetables, fruits, and other lucky ingredients to ensure an auspicious, healthy, and prosperous year for all. Raw Fish in Chinese is pronounced the same as prosperity, so it is viewed as a symbol of good luck. At Lunar New Year, it is a tradition to give a red envelope to your friends and family. These envelopes are typically filled with money and symbolize good wishes for the new year ahead. At the Nathan Yip Chinese New Year Party, you can purchase a red envelope for $5, or five for $20. Each envelope includes a gift voucher from a local business, and one lucky envelope will contain a golden ticket for a Grand Prize! Will you be a lucky winner? Our lovely emcee, Anne Trujillo, of Denver’s Channel 7, will be returning to welcome guests warmly for an evening of giving. Then, please welcome our live auctioneer, Reggie Rivers. A former Denver Broncos player, Reggie has now dedicated his career to helping nonprofits fulfill their mission by raising much-needed funds in a fun and interactive way. Open your hearts, and your wallets, for some incredible experiences! All auction items have been donated in full to the foundation, so 100% of proceeds will benefit our many projects in Colorado and China. In addition to these incredible experiences we will be auctioning away, we will announce a special Colorado project that we plan to support in 2019. With your help and our commitment to reaching students in some of Colorado’s most underserved regions, we will be able to provide much needed resources to these school communities. Night markets are popular throughout Asia and offer a variety of bustling stores, food stalls, games and activities. Ours will be no different! Beautiful Chinese clothing - yes, we will have a dressing room for you to try things on! Portrait artist, palm reader, and calligraphy - to write your name in Chinese! A GIF is a series of photos captured within a few seconds, mashed together, and looped as a mini video. In our photo booth, you can take a GIF photo and then share it straight to Instagram (or Facebook, email, or your phone… you get the idea). In addition to the traditional Chinese Lion Dance, we’re teaming up with Handsome Little Devils, Big Nazo, and Sound Down Party to bring you a unique, fun, and spectacular entertainment experience!